Eucalyptus oil is considered to be one of the most effective natural means to treat respiratory infections. This beneficial essence, helps with breathing and unclogs the nose and sinuses, primarily due to its intense smell, flavour and cooling taste. Apart from it, for this purpose healing tea from the same plant is recommended. Eucalyptus oil will surely encourage the supply of oxygen throughout the entire body, it will soothe irritation in the bronchial tubes and make it easier to cough up accumulated secretions, after a few inhalations. If you want to know how it is made and used for colds, sinusitis, bronchitis, asthma, as well as to strengthen the entire immune system, stay tuned. Is the cultivation of eucalyptus possible outside Australia? Eucalyptus wood is of impressive proportions (up to 80 m in height) with leaves of pleasant smell, but originates from Australia and Tasmania. Aborigines used to treat fever and inflammation with the help of medicinal leaves and preparations. It quickly grows and reaches incredible heights in the short time, it drew attention to itself immediately after the discovery in a distant continent. Growing Eucalyptus is possible in countries with slightly warmer climate, so the wood is transferred to the area of ​​South Africa, India and Europe, all in the last few hundred years. It is characteristic of it that absorbs all the water from the land, so it is planted on moistened and swampy terrain for their drying. Otherwise this is an excellent tree for filtering the air, so the areas of forest with eucalyptus are very healthy. Frequent residents on its tree tops (in Australia) are cute koalas, which are fed exclusively with its leaves, but when eaten too much, you become intoxicated, because it is fermented into alcohol and therefore these interesting animals often sleep during the day. Eucalyptus leaves are wider, flatter, while the edges of leaves always take direction from north to south, and the plant thus keeps itself from excessive evaporation during very high - tropical temperature. Its fruits are like compartment with a lid - and its name literally means: one that protects. The leaves and fruits have a very pleasant aroma and are used most commonly in the treatment of respiratory diseases and organs in the form of tablets and syrup, or as an essential oil of eucalyptus. If you look at the leaves toward the light, you will see tiny dots that come from cavities that contain essential oil of eucalyptus. In the dried leaves there is even 3 percent of the oil, and the main ingredient is eucalyptol which is very valuable. Why is eucalyptus oil so good and healthy? Eucalyptus is rich in essential oils, eucalyptol and cineole as well as terpenes, polyphenols and flavonoids, it alleviates severe pain in the mucous membranes (which can cause ulcers and boils) and acts as a powerful natural antibiotic. Eucalyptus essential oil has a beneficial, antiseptic and antispasmodic properties, so it is not an accident that its active principles are found in phytotherapy and pharmaceuticals against respiratory diseases, which are particularly used for inhalation. Effective against viruses and bacteria, eucalyptus oil helps to combat infections, especially if you start to take the appearance of the first symptoms, significantly contributes to faster healing. In case of laryngitis and acute inflammation of the pharynx, and when breathing becomes a problem, decongestant, emollient and mild analgesic power of its leaves quickly soothe inflamed mucous membranes. Its beneficial effect, at the end, is magnified by a higher water composition of mucus, making it more watery and easier to expel. Apart from eucalyptol, which is in charge of coughing up and decongestion, there are monoterpenes, which have antispasmoic and healing effect. In the event of a further temperature increase, eucalyptus oil will with its soothing and refreshing effect contribute to its rapid descent, as well as rapid healing. Essential eucalyptus oil prevents infection and inflammation, eases breathing and unclogs the nose, helps during ejection of accumulated mucus in the lungs, prevents the spread of bacteria. It is very effective for colds and inflammation of the upper respiratory tract, stew fever and is usually used for inhalation. How to inhale with eucalyptus oil? Mix 2 drops of oil with alcohol (1 teaspoon) and pour it into 500 ml of hot, but not boiling water. Put the appropriate and larger towel over your head and inhale at least 10 minutes. Repeat the process two more times during the day - a total of three, not more than that. The essential eucalyptus oil for inhalation, which is used in this way, has a very strong effect, so do not prepare it for children of preschool age and younger, and it should not be used by pregnant or nursing women. In the humidifier or the burner, put the essential oil of eucalyptus, only one drop diluted in water. You very effectively disinfected living space, but also facilitate breathing. It is known that if the leaf of the plant is burned in the premises which housed a sick person, it will quickly remove bacteria and germs from the air. In aromatherapy it is recommended to use aromatherapy lamps in which maximum of 8 drops are placed. This unique product provides a pleasant and slightly bitter taste. However, in market it is difficult to find organic honey from eucalyptus. Therefore, you can add essential oil to honey: A teaspoon of honey - a drop of oil. Add it freely to tea, to the bread, or put a teaspoon of honey in a cup of warm water and drink before bedtime- it is a natural vaccine! Mix 2 drops of eucalyptus oil with a drop of lavender and soak in a clean handkerchief. All that is required is that you inhale its fumes and take a deep breath twice a day, the best would be in the morning and evening just before going to bed. Eucalyptus oil is valued in Phytotherapy thanks to the excellent antiseptic, antibacterial and many other medicinal properties. It has a specific smell and taste, and it is almost completely colourless. Diluted eucalyptus oil can help prevent periodontal disease, inflamed gums, prevent caries and mitigate odours from the mouth. A pinch of leaves pour into half a pint of boiling water and let it boil for a very short (only a few seconds) period of time. Remove from heat and keep it covered, but not longer than 10 minutes. Strain the tea obtained from eucalyptus and drink it slowly during the day, but not more than 3 cups. The prepared beverage can be used for rinsing the mouth. It will successfully remove the accumulated plaque, will accelerate the process of healing ulcers, inflamed mucous membranes and more. A full soup spoon of finely chopped eucalyptus leaves and a tablespoon of flowers and leaves of savory deliver in 2,5 dl of boiling water. Remove from heat, cover and let it sit for about ten minutes, strain it with a strainer and drink slowly in small and measured small sips. Unsweetened tea from eucalyptus and savory can be used for rinsing the mouth and throat and are very effective. Does the eucalyptus cause any side effects? This beneficial oil should not be applied to your skin directly, without mixing it with other medicinal oils. Otherwise, there may be side effects such as severe nausea, vomiting, diarrhoea, weakness and pain in the stomach. Fundamental research on the topic of whether the eucalyptus is oil harmful or not have not been carried out, nor do they cause any side effects. What is certainly important to remember, is that you never take it on your own without consulting with a specialist. There is no completely safe product, even if it is stated on the product that it is 100 percent organic, so do not engage in such adventures alone. Can it be used by pregnant and nursing women? Overall, eucalyptus can be used, while the oils are a completely different situation – do not use if you are pregnant or breast-feeding. Recommendation of phytotherapists is that the essential eucalyptus oil should be definitely avoided in order not to expose the baby to unnecessary risks. This preparation should certainly not be given to your child to drink, rinse in the mouth or applied to the skin. There is not enough evidence or extensive tests to make sure that eucalyptus oil is safe for children, so it is best to avoid it. People with diabetes should be careful if they plan to use it, because eucalyptus can greatly precipitate the value of blood sugar, and even lead to severe hypoglycaemia. Do not consume eucalyptus oil at least 14 days before the operation, because it will bring down sugar and cause possible complications during or after surgery. If you do not find yourself in some of these groups, you can safely use this natural product, but only with the recommendation of your doctor. Eucalyptus essential oil will give you strength, improve concentration, alleviate pain in joints and muscles (lumbago, rheumatism, sciatica), alleviate stress and will make you a far more stable and happier person. Where to get oil and at what is the price? In almost every better equipped herbal pharmacy you can obtain the essential oil of eucalyptus and also increasingly in well-equipped web shops, where it can also be ordered, in an even easier and simpler way. 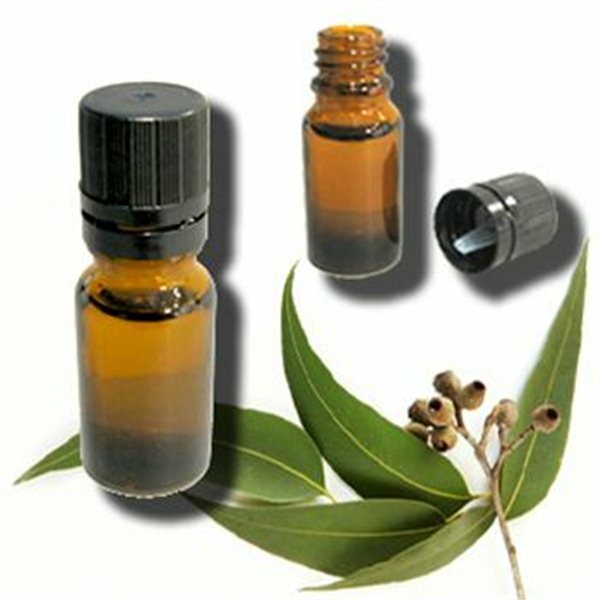 The price of eucalyptus oil mainly depends on the manufacturer, so products are available from 3 dollars for a bottle of 10 ml, to 7 dollars for the preparation for the same amount. It is best to check with the seller of each product individually, before your purchase it. Choose always Eucalyptus essential oil that is organic.